One thing about thanksgiving that I really like is taking the time to reflect on things you are thankful for. Sometimes appreciation or gratitude can really lift your spirit or make you happier. Sometimes just taking the time to think about the things you are so thankful for can make a difference in your life or even just the day. 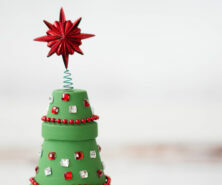 Have you seen the thankful trees or garlands? Well, this is a different take on getting your kids or family involved in expressing what they are thankful for. 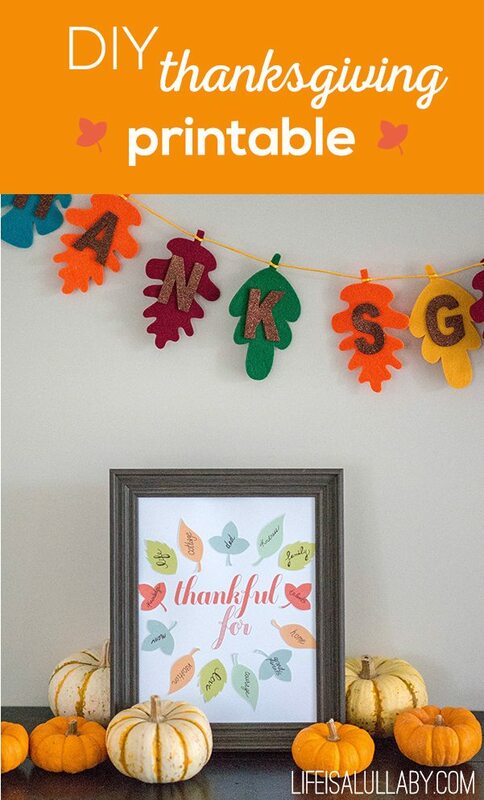 Here’s what you need to do to create this DIY Thanksgiving printable. 1. 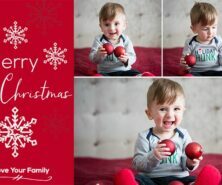 First, download the backdrop and print off on cardstock. You can download the file here. 2. Next, you’ll need to find some leaves to print off to write on. 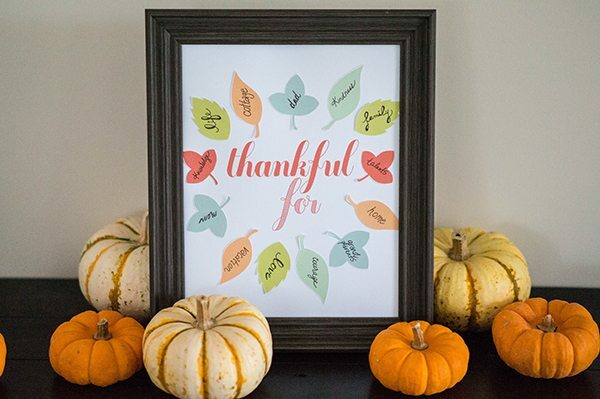 You could also just trace out leaves on coloured cardstock and use those or you could simply just write around the printable with things you are thankful for also. 3. 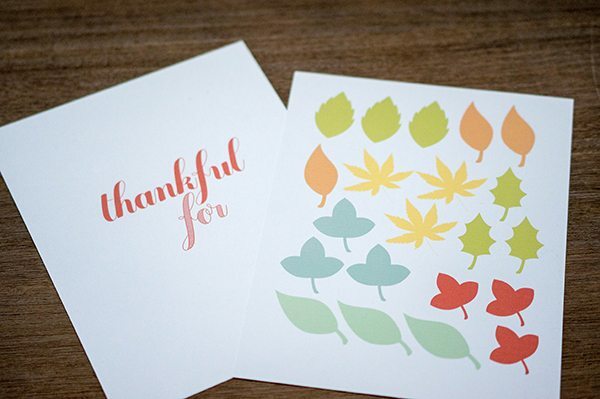 Once you’ve written on your leaves, cut them out and glue them to the printable. 4. Then frame and you are done – place on your mantel or in your front foyer so guests can see the things you are most thankful for. 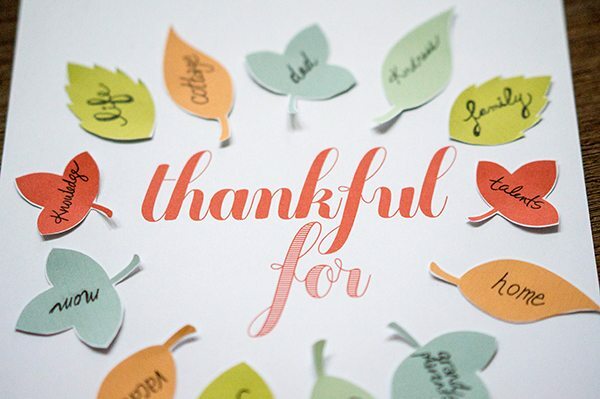 What are some of the things you are most thankful for this thanksgiving season? 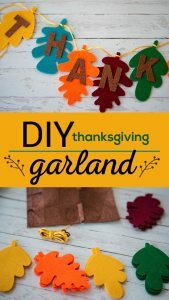 For more thanksgiving ideas, check out our DIY thanksgiving garland – so easy to make and looks beautiful over any mantel or table! This is really adorable. Thanks for sharing this at The Southern Special. This is so cute! And such a great idea!! Pinning and Printing!! Thanks Sydney! So glad you like it and thanks for pinning. Would love to see what you create when you’re done! Thanks Heather, so glad you like it! Such a cute idea! Each family member could have their own displayed in their room all year. That’s a really great idea Heidi! Would be a great one to do with the kids and I like the idea of keeping it framed all year round. A great reminder of things to be thankful for throughout the year! this is adorable! love the idea of putting what you’re thankful for on each leaf – this would be fun to do with my daughter 🙂 thanks for sharing! Aw, thanks Amanda! So glad you like it and I’d love to see it if you decide to do it with your daughter!